Terry Pratchett, a famous fantasy writer, died on March 12, 2015. Pratchett was diagnosed with a rare form of Alzheimer’s Disease in 2007. The announcement of his death was released on his Twitter account. Sir Terry Pratchett, knighted in 2009, wrote over 70 books throughout his life, the arguably most popular being his series Discworld. 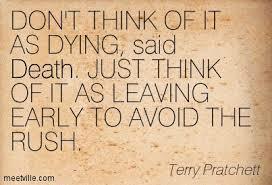 Pratchett became very famous selling over eighty-seven million books and made world-wide book- signing tours. He had fans of all ages; his writing could reach and impact children and adults. He won the annual Carnegie Medal for The Amazing Maurice and his Educated Rodents in 2001 and the World Fantasy Award for Life Achievement in 2010. 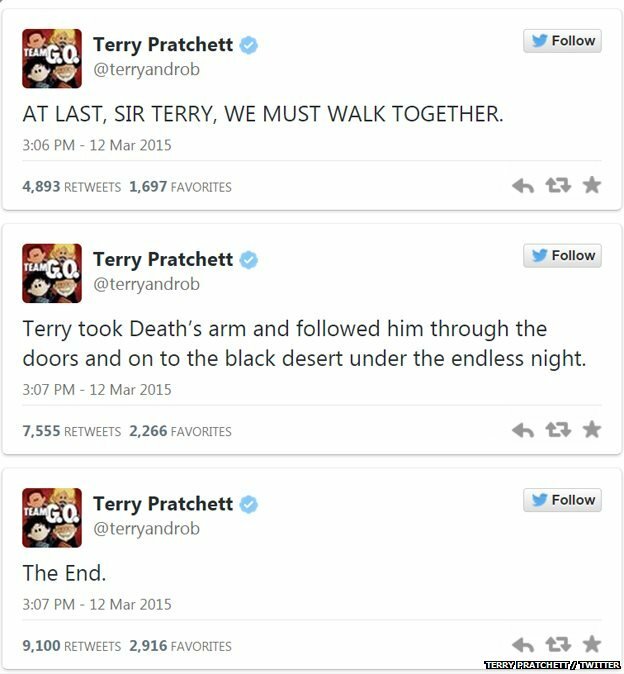 Terry Pratchett wrote about the frailties of humanity with compassion and humor. One of his most famous character was “Death” in the Discworld series, who was used as a parody of many popular personifications of death.